Drugs are generally converted to biologically inactive forms and eliminated from the body, principally by hepatic metabolism. However, certain drugs undergo biotransformation to metabolites that can interfere with cellular functions through their intrinsic chemical reactivity towards glutathione, leading to thiol depletion, and functionally critical macromolecules, resulting in reversible modification, irreversible adduct formation, and irreversible loss of activity. 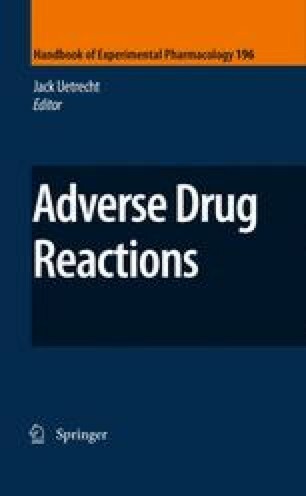 There is now a great deal of evidence which shows that reactive metabolites are formed from drugs known to cause hepatotoxicity, such as acetaminophen, tamoxifen, isoniazid, and amodiaquine. The main theme of this article is to review the evidence for chemically reactive metabolites being initiating factors for the multiple downstream biological events culminating in toxicity. The major objectives are to understand those idiosyncratic hepatotoxicities thought to be caused by chemically reactive metabolites and to define the role of toxic metabolites.